Mix the rice flour, spices and seasoning. 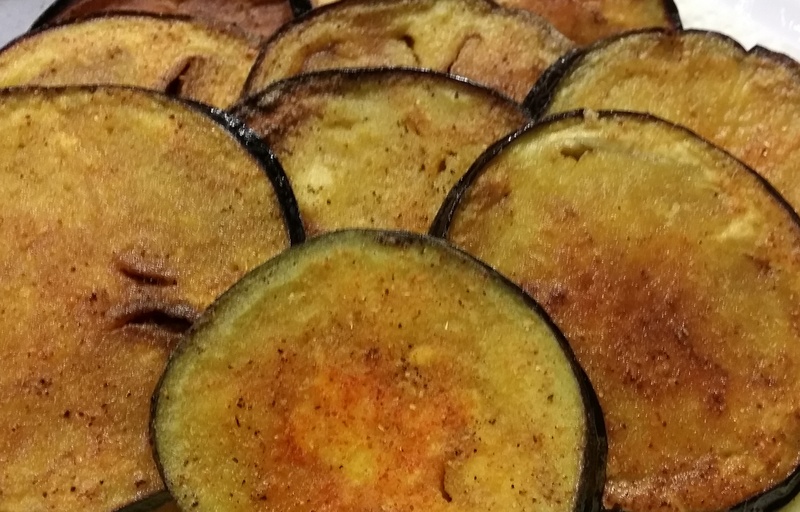 Coat the cut eggplant well on both sides. Heat a frying pan, add mustard oil. Once oil is hot, fry well on both sides until cooked through. Enjoy!